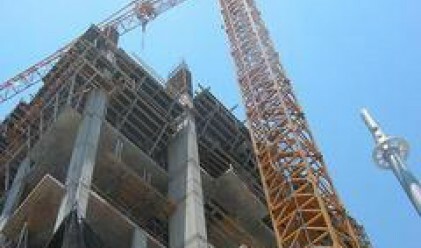 The construction sector has seen a 15% growth in 2007, which makes it one of the fastest developing sectors in Bulgaria for the period, a report by the Center For Economic Development states. At the heart of the construction boom is the shortage for new homes, as well as for commercial and administrative premises, warehouses and logistics centers. Prices of construction materials and services rose 12.6% during Bulgaria's first year as EU member country. The hike is expected to slow down to 11.8% this year. Costs are rising due to the appreciation of construction materials on the global markets, as well as to the more expensive services on the local market. The growth in the construction sector is boosting real estate sales. The property market is the absolute leader in the country with its 11.4 bln euros turnover in 2007. In January, Global Property Guide said real estate prices in Bulgaria were the most rising in the world in 2007 (+30%). Experts have started talking about a possible “bubbling” of the property market. However, so far there have been no indicators suggesting that prices may start to fall. More and more Bulgarians are financing property purchases using credits. December was a record month for crediting in the country, both in terms of number and volume of loans. The reason for this tendency are the rising prices and the common belief that the hikes will continue this year. Most banks have raised the limit covered by mortgage credits from 70% to 90% of financing. At the end of the year the average loan size reached 51,148 euros. The market of commercial real estate picked up pace towards the end of the year. Demand for plots in proximity to functioning commercial centers is soaring. Experts think demand for offices will stay strong this year. Because of a three-year delay in passing of the Law on the floor property, Bulgaria will not receive EU funding under the residential property measure of the EU Regional development program by 2010. After several delays, the Government finally passed the bill, which concerns some 4.5 mln people living in apartment buildings. According to recent legislation, all construction companies (local and foreign) must be listed with the Commercial Register in order to be able to operate. Only small firms executing minor residential projects or repairs services only are exempt from this requirement. This year Bulgaria will adopt eurocode 8 in construction planning (regarding seismic cards). According to EU requirements all member countries need to adopt the eurocodes by 2011.